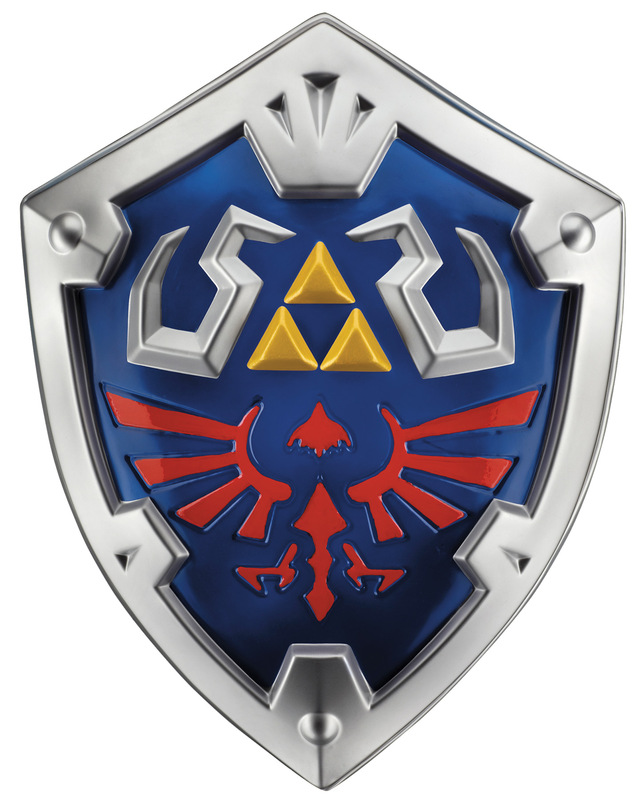 Step out in style like the Hylian hero with this cool shield! Molded plastic gray shield with red, blue, and gold accents. Shield has two adjustable straps on the inside. Measures 19in long x 15in wide x 3.5in deep. Recommended for ages 4+.